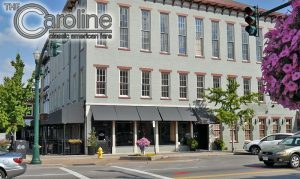 In January of 2008, owners Steve and Melanie Smith opened The Caroline in The Dye building, which was built on the southeast corner of Troy’s public square in 1866 for owner by William Henry Harrison Dye. W.H.H. Dye was likely the wealthiest man in Troy after the Civil war and also at the time of his death in 1900. He lived at the southeast corner of Franklin and S. Market streets in a large 2- story dwelling. After going into semi-retirement in 1865 William spent time wisely investing his fortune. This building was likely constructed as one of those good investments. Early on this building housed the Mammoth Boot & Shoe Store, C.Q. Sabin’s dental office, the E.R. Rinehart Cash Drug Store and Mr. Eli Kelly’s book and stationery store which also specialized in the sale of musical organs. In 1871 he established W.H.H. Dye & Son, Troy’s first private bank, which was located on the ground floor in the northwest corner of the Dye building. Eight years later he sold the bank to a Dayton firm and the bank eventually became known as the Miami County Bank. There remained a bank in this location until ca. 1900. During the 1880’s the Knights of Pythias met on the third floor of this building and every two weeks the Troy Dancing Club, a men’s organization, held dances here. As the space was so grand, the largest balls in town were held here, including masquerades, Firemen’s balls and New Year’s Eve balls. 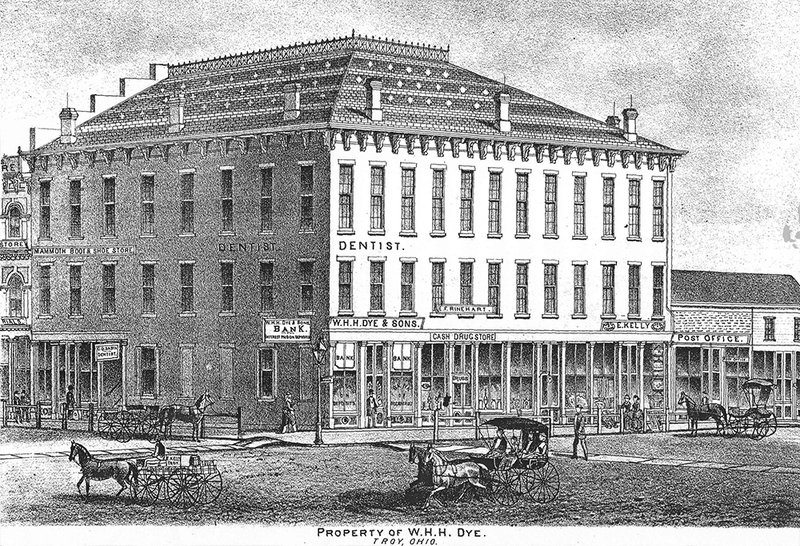 From as early as 1875 there was a drugstore at 3 S. Market. These stores include: E.R. Rinehart Cash Drug Store, N. Tobey & Son, Chas. W. Tobey and the Magoteaux drug stores. 5 S. Market St. has been the home of dry goods stores including James Grunder & Co.; by 1911 it was the location of a 5 & 10 cent store. As early as 1927 G.C. Murphy & Co. had opened here and was in business until the early 1970’s. 7 S. Market St. has housed books and stationery shops, groceries and for many years was the location of a hardware store. These stores include: H.L. Hatfield & Bro., Hatfield & Scott and the Ralph Gibson hardware stores. 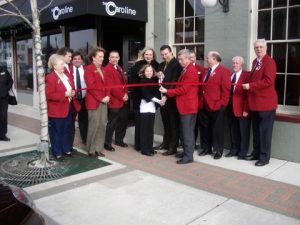 The ribbon cutting in Jan 2008. For many years G.C. Murphy and Co. occupied the entire ground floor of the Dye Building. When G.C. Murphy closed their doors around 1971, the building became vacant. For most of the 1970’s and 1980’s, most of the building was deserted except for a business here and there on the 1st floor; the 2nd and 3rd floors ‘of this building were likely deserted even longer. In 1987 7 S. Market became the home of the Upper Krust restaurant which was replaced the following year by Taggarts restaurant which remained at this location until the spring of 2007 just prior to the sale of the building to Tony Blundell of the Medallion Investment Group which planned to renovate and restore the building. On Monday, January 29th The Caroline, named after the Smith’s daughter, will celebrate their 10th birthday. As part of the celebration you can join them for a 10 oz. Certified Angus Beef brand House Sirloin, a baked potato, and tossed salad for just $10! They’ll also be giving away fun prizes throughout the night. We asked owner Steve Smith to reflect back over the past 10 years and share some of his thoughts about the business. What’s the best thing about being a restaurant owner? When you look back at the 10 years- what stands out the most- good or bad, lesson learned? Use quality products. Don’t cut corners your only good as your last meal served! In hindsight, what were you most wrong about in planning the business? Continue to deliver great food and service subtle updates to the restaurant and building now that we own the building. Steve Smith bought the building in the fall of 2017 when the loan of the previous owner when into default. The second floor has 4 office which are leased out and he plans to move forward with conversion of the third floor into two or three condos, which had been started, but never completed by Medallion Investments, LLC. Join us for the Holiday Brews Beer Tasting on Wednesday November 16th at The Caroline! The price is only $18 per person, and we’ll be serving up some delicious light appetizers! reservations can be made by by calling us at (937)552-7676 or by E-mailing Steve. Twas the Night Before Christmas, What Dayton Restaurants Will Be Open? Take a much-needed break from the last-minute present-wrapping and feast-prepping, and let the area’s best chefs create the main culinary event for you and your loved ones. Below, are our top picks for dining out on Christmas Eve and even, a few notable spots opening up their doors on Christmas Day. We also suggest you call for reservations, as many places will be booked up. 7880 Washington Village Drive, Washington Twp. 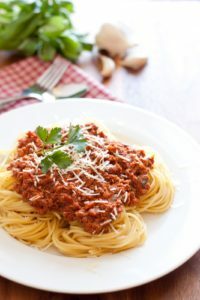 For all those folks who may not celebrate Christmas, or just don’t want to cook that day, there are indeed a few restaurants that will be open for your dining pleasure. Of course you can always dine at Waffle House- they never close, but no matter where you dine out, please remember that the staff of these places have given up their holiday to serve you, so please tip generously, as working on a holiday is never fun, but should at least be profitable for those away from their families. As always, if you know of a place we missed, feel free to add it in the comments! 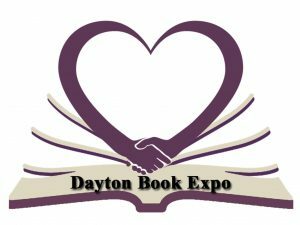 Since it is May, you may be asking the question, “Is there anything fun going on this week in Dayton?” The answer of course is an enormous “YES!” This week, there are so many things from which to choose that you may have some very difficult decisions ahead of you! On Wednesday, join Dayton Creative Syndicate as they welcome Guest Speaker, Jack Supple at Brixx Ice Company. Taste some wine as part of the Weekly Wine Tasting at The Wine Gallery. Not yet prepared to make your bets for the Kentucky Derby? Be sure to attend the Derby Preview Party at Color of Energy Gallery where John Engelhardt from River Downs and other horse racing experts will give you some great tips…and don’t forget to have a mint julep! Plus, there will be a live horse outside the art gallery AND live music! Afterwards, please carefully walk to Fifth Third Field to watch the Dragons as they play the South Bend Silver Hawks. And finally, give those vocal folds a workout by heading to Blind Bob’s for Karaoke. On jueves (Thursday), start the day at the Presidential Banquet Center for the 2nd Annual Voices for Kids Benefit, which helps CHOICES, an organization that provides a support system for youth, their families, and foster parents. Over at Sinclair, attend the 2011 Go Red For Women Luncheon. Celebrate Cinco de Mayo in style at one of these great restaurants: (1) The Caroline, which offers some great Cinco de Mayo specials; (2) El Meson – starting at 3PM, they will have $1 Tequila shots and free tapas until 5:30PM…plus amazing food, music, and dancing; or (3) El Rancho Grande (or the “E.R.” as my friend Lynne calls it) for 1/2 Price Ladies Night. Or Join the Dayton Ballet Barre for their 1st Annual Cinco de Mayo ‘Barre’ Crawl which will take place at a variety of bars in the Oregon District. If Mexican food does not appeal to your taste buds, no problem. 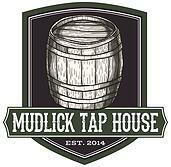 You can attend the Beer & Burger Tasting at A Taste of Wine in downtown Miamisburg. Some other possibilities for Thursday evening include listening to the Hal Melia Quartet as part of the Vectren Just Jazz Series at the Dayton Art Institute, Space Night at the Air Force Museum, Dayton Theology on Tap at Oregon Express, or watching the Dragons as they play the South Bend Silver Hawks. On Friday, ALL young professionals should without a doubt participate in Generation Dayton’s Get Out, & Give Back Dayton! The day will consist of a lunch, followed by a variety of service projects at area non-profits, and finally a wonderful after-party at Oregon Express! Get registered today and bring a friend! 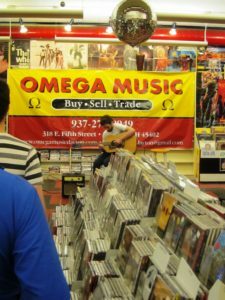 Afterwards, attend the First Friday art hop downtown. Also downtown, you can participate in the Courteous Mass Ride, watch the Dragons play the South Bend Silver Hawks, listen to the Paul McKenna Band at the Dayton Art Institute, or attend ‘Byron Stripling: Satchmo, Fats & The Duke’ (Dayton Philharmonic) at the Schuster Center (click here to find out how you can get discounted tickets, courtesy of jumpstART!). And if you’re brave enough to venture outside of downtown, head to the Dayton Mall Chick-fil-A for a Free Chick-fil-A Sandwich from 4-7PM, the Baum Opera House for The Wizard of Oz, or the Centerville Performing Arts Center for Hello, Dolly! 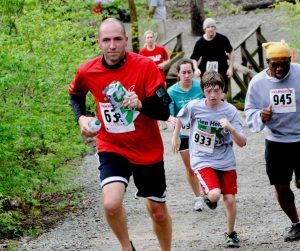 Hopefully you spent your Friday night downtown so you can wake up and gallop your way to the Derby Day Dash 5K and Kids Fun Run at RiverScape. Then head to PNC 2nd Street Market to Make Your Own Crepe. Over at Garden Station Community Garden/Art Park, share your food, art, music, or whatever else you want as part of the Really Really Free Market. Wear your favorite hat (the bigger, the better!) and support women’s wellness by attending the 2nd Annual Crown Jewels Derby Day Brunch at Brio. I hope to see you there! Keep that hat on so that you will be able to attend the Junior League of Dayton Derby Party at The Wine Loft. 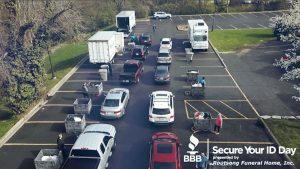 In order to support a couple other great causes, attend the House of Bread Silent Auction at the Dayton Mall Holiday Inn or the American Red Cross’s Putting on the Glitz event at the Hope Hotel and Conference Center. If your doctor wrote you a prescription for laughter, be sure to get your tickets to Cocktails with Larry Miller at Victoria Theatre. Although I’m not an accountant, I don’t think this would qualify as a medical expense under your H.S.A. Listen to the Dayton Philharmonic’s performance – ‘Byron Stripling: Satchmo, Fats & The Duke’, which takes place at the Schuster Center. 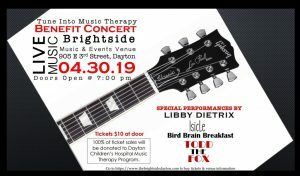 Other musical options include listening to the Miami Valley Symphony Orchestra’s Spring Concert at Shiloh Church or the The Primo Trio at the Dayton Art Institute as part of the Vanguard Concert Series. Catch “Saturday Night Football” at Hara Arena as the Dayton Silverbacks play the Indianapolis Enforcers. And finally, if you feel like catching a show, both The Wizard of Oz (Baum Opera House) and Hello, Dolly (Centerville Performing Arts Center) will still be running strong! On Sunday, if you do nothing else, be sure to honor your mother! If you don’t mind (and if you do mind, sorry, I just don’t care), I’d like to give a quick shout out to mine – Thank you mom for being the best mom ever…and thank you for not just putting up with my dumb jokes, but actually laughing at them! I love you bunches and bunches! Thanks for letting me do that, although you really had no choice. Anyways, whatever you’re doing, I hope you will be able to have the opportunity to spend Sunday with your mother. And don’t worry because you won’t have to cook breakfast or lunch, as many restaurants are offering Mother’s Day Specials! 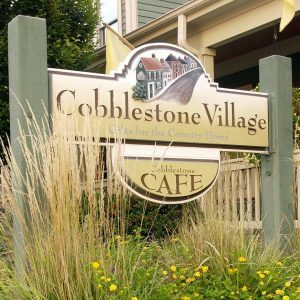 Some places that are offering brunch include The Barnsider, Hilton Garden Inn, Carvers, Blind Bob’s, Boulevard Haus, Dublin Pub, and Fleming’s. Don’t forget to take your wallet…it would be bad news if your mom had to pay! And if your mom likes music, take her to Kettering Fairmont High School for the Miami Valley Symphony Orchestra Spring Concert. Or take her to see Honk! Jr. at Town Hall Theatre. Why was the racehorse named Bad News? Because Bad News travels fast. Sunday’s Patriots vs. Browns game may be considered an upset, but to be quite honest, I’m not sure why. My family sure wasn’t upset…GO BROWNIES! If you weren’t watching the game, hopefully you were out having fun participating in one of the many events going on in Dayton this past week! Here’s to another week with a variety of things to do! On Wednesday, sip some wine at The Wine Gallery downtown for their Anniversary Tasting! Approximately 50 different wines will be featured and they will have complimentary food. 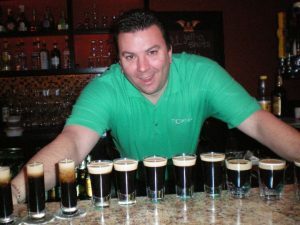 Or if you’re more of a beer lover, then attend the Beer Tasting at The Caroline in Troy. 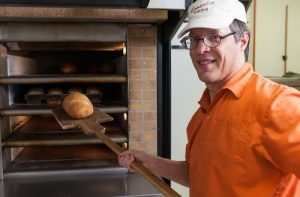 Drive to The Winds Café and Bakery in Yellow Springs for their 21st Annual Garlic Dinner if you don’t mind a little garlic on your breath. If you’re like me and love G-O-D, then you will want to attend the Children’s Performing Arts of Miamisburg’s production of the wonderful musical Godspell at the Baum Opera House. I heard that the kids put on an outstanding performance! For a good drum roll (and perhaps a dumb joke to follow! ), see DRUMLine Live at the Schuster Center. Also, the Trans-Siberian Orchestra will be performing at the Nutter Center if you prefer to get in the Christmas spirit a little early this year. And finally, if you would like to give back, then bring your canned goods to the “Can”nery for their Holiday Food Drive, which will benefit the Foodbank. Or, purchase a new toy or clothing item to help needy kids as part of the YWCA Dayton Holiday Wish List Donation Drive. On Thursday, get your exercise and “Jump” into Art with jumpstART at the Dayton Visual Arts Center’s ARTtoBUY Holiday Gift Gallery. Although ARTtoBUY will be happening for a while, on Thursday only, jumpstART will be providing light food, good wine, and some art appreciation. If you are an introvert and would prefer to buy art-type gifts by yourself, then attend Live Art, Give Art at the Cannery Art and Design Center’s fourth annual holiday gift gallery. Are you a young professional that would like to meet other young professionals in the Dayton area? If so, come to Champps, grab a drink, and do some social networking as part of Generation Dayton’s Thirsty Thursday. Plus, you will have a chance to win a $25 gift card to Champps, which you are welcome to use to buy me a drink! 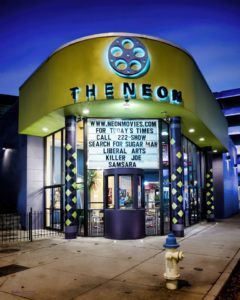 At The Neon, the Ohio Liberty Film Festival will be going on, so if movies are your thing, then you should plan to attend. And if can’t wait until Thanksgiving for your turkey dinner, then gobble your way to the Stockyards Inn for their Turkey Thursdays. 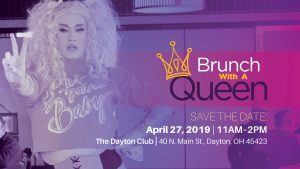 On Friday, all you businesswomen will want to attend the Women in Business Networking winstitute at the Dayton Racquet Club. If you’re sick and tired of that old couch but don’t have the money to purchase a new one (or are just environmentally conscious), consider turning it into a beautiful work of art at the Reinvent Your Furniture Workshop at the Cannery Art and Design Center. If you are a college student who would like to learn a little bit about leadership, then attend Leadership Truths: Everything A College Student Needs to Know at Urbana University. 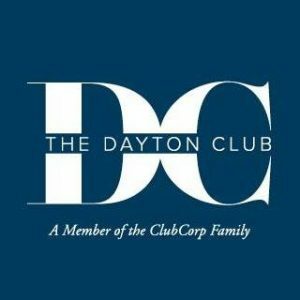 In addition, the premier young professional groups in the Dayton region will be on hand to help you get connected with all things Dayton! 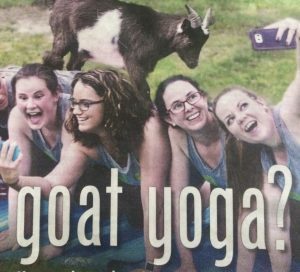 (Honestly, this is how I have become connected in the Dayton community, so I highly recommend it!) At the Schuster Center, join the Philharmonic Orchestra and some top vocalists for Broadway Rocks. I’m not sure if they will be of the igneous, sedimentary, or metamorphic type, but the performance will feature several hits from wonderful shows such as Wicked and Phantom of the Opera. 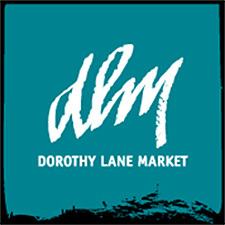 For more info, be sure to check out this article on DMM! Also downtown, the Ohio Liberty Film Festival will be happening at the Engineers Club. And, if you’re looking for an evening of dining and dancing in a beautiful setting, be sure to get your tickets today for the Dayton Urban League Gala at the Dayton Art Institute! On Saturday, head to the Dayton Women’s Club for their Annual Holiday Bazaar. If you feel like you’re wearing the same thing over and over again and need something new in which to put your arms and legs, but don’t want something that will cost you an arm and a leg, attend the Swap ‘n Shop ’til You Drop Charity Benefit. Grab three friends and register your team for the URS Oregon District Barstool Open, which is a 9-hole, 9-bar indoor miniature golf outing. From those who have attended in the past, I have heard it is a super fun time. Plus, proceeds benefit local children and adults with disabilities, so I’m all “fore” it! In the evening, you can also support the Cystic Fibrosis Association by attending the Dayton Shining Stars Gala at the Engineers Club. For some musical/theater options, see the Children’s Performing Arts of Miamisburg’s production of Godspell at the Baum Opera House, Irving Berlin’s White Christmas at La Comedia, Playing by Life’s Rules’ at the Ray & Joan Kroc Theatre, Broadway Rocks at the Schuster Center, An Evening with Sutton Foster at Clark State Performing Arts Center, or the Choral Concert at Sinclair’s Blair Hall Theatre. Are you already missing the summer? If so, attend an Indoor Tropical Bash at Norton’s featuring the Parrots of the Caribbean, a wonderful Jimmy Buffett Tribute band that is sure to put on a great show! Or make your way to UD Arena to watch the Flyers take on Mount St. Mary’s. Go UD! On Sunday, if you’re not watching the Browns’ next victory, consider making the drive to Fairfield for Jungle Jim’s International Wine Festival, where there will be over 400 wines! That is a lot of alcohol, so be sure to bring a DD…or rather have a DD bring you. Downtown, celebrate the 20thAnniversary of the renovation and re-opening of the Victoria Theatre with Viva Victoria!. The celebration is absolutely free…just be sure to get your ticket from Ticket Center Stage. If you didn’t get a chance to check out the Ohio Liberty Film Festival at The Neon, Playing By Life’s Rules’ at the Ray & Joan Kroc Theatre, or Godspell at the Baum Opera House, now is your opportunity to do so. And finally, if you want to get in the spirit of Christmas with a little spirits (which is much more acceptable than non-stop Christmas music in November! ), attend the Holiday Tasting at Arrow Wine in Centerville. I was trying to write a song about drinking but I couldn’t get past the first few bars. Filed Under: DMM's Best Bets Tagged With: Broadway Rocks, Cannery Art and Design Center, Children's Performing Arts of Miamisburg, Dayton Urban League Gala, Drumline Live, generation dayton, JumpstART, Jungle Jim's International Wine Festival, Ohio LIberty Film Festival, The Caroline, The Winds Cafe and Bakery, The Wine Gallery, Trans-Siberian Orchestra, URS Oregon District Barstool Open, Viva Victoria!